49. Parts Of Eastern Nevada And Western Utah. 58. Parts Of Eastern & Southern Nevada And Southwestern Utah. Topography Of Southern & Southeastern Nevada. 1 : 760320 Wheeler, G.M. DeGroot's Map Of Nevada Territory. 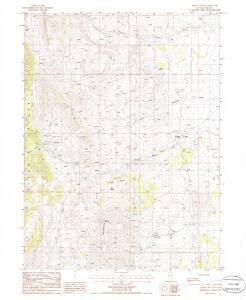 1 : 3100000 Holdredge, Sterling M.
Composite: Geological maps I-V, 40th Parallel Survey. Composite: Topographical maps I-V, 40th Parallel Survey.